December is the twelfth and last month of the year in the modern day Gregorian calendar and its predecessor, the Julian calendar. The month kept its original name from the Latin word decem meaning “ten” which marked it as the tenth month of the year in the Roman calendar. December was named during a time when the calendar year began with March, which is why its name no longer corresponds with its placement in the Julian and Gregorian calendars. ALL IN ALL, AS THE LAST MONTH OF THE YEAR, 2015 AND ALL YEARS ON EARTH … I WISH YOU AND YOUR HOUSE HOLD THE VERY BEST OF LIFE TODAY AND ALWAYS… MAY TODAY BRING YOU PEACE, LOVE, JOY, HAPPINESS AND FAVOUR ALWAYS.. Previous article Are you together? Next article Its Harmattan and see why I love this season. happy december and a merry xmas in advance lexhan! 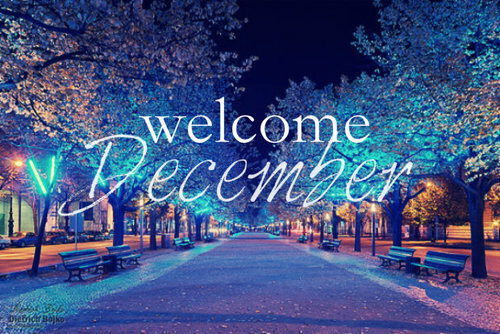 happy december to u too dear..
Wow! I knew the calendars had been changed throughout history, but I never knew which months were added. Learn something new every day! Thanks for sharing! Wish you well this December, and Merry Christmas too! thank you and you too…a happy xmas…regards to kiki..
That's pretty cool. Thank for sharing the history being the name. I actually always wondered that because I know that the root for dec is 10. Happy december to you too!